Treat the root-cause of varicocele in just 10 min/day! 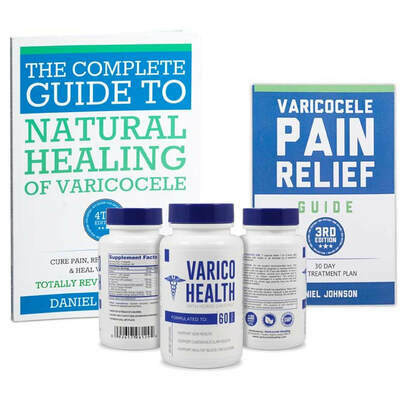 Complete Treatment Package: Safe, effective, and comprehensive varicocele natural treatment system. Attain complete access to all the best treatment tools with the CTP. Total varicocele treatment is for 4-6 months based on the severity of the case. Symptomatic reduction in varicocele pain will be visible within one month. However, to see any significant benefits like reduction in swelling and fertility improvements, at least four months are needed. ​ⓘ Important: View treatment package contents below.